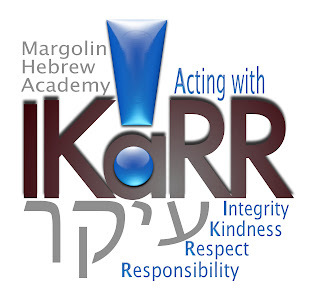 In both our Upper and Lower School Back to School Nights, I had a chance to talk to parents about what we're calling "stage two" of our IKaRR Initiative. 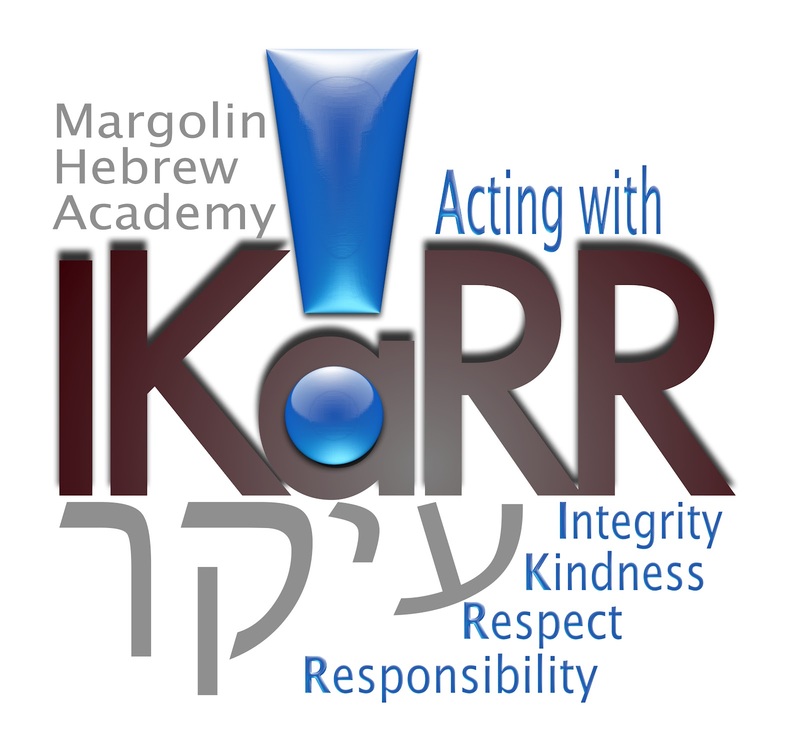 In doing so, I noted that last year the IKaRR Initiative was largely an awareness campaign. 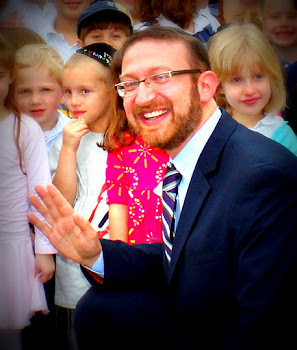 Through signs and stickers and magnets it shed light throughout our community that the Torah values of Integrity, Kindness, Respect, and Responsibility were at the heart of what we hoped to impart to all of our children. For this year, however, our administration and faculty will focus our efforts not merely on awareness, but on education. That is, we are not going to take it for granted that our children know what we mean when we say we want them to act with "integrity" and we're not going to assume that they understand our expectations when we say "be kind to others." So our signs throughout the school this year have changed from inspiring quotes from famous thinkers and writers to clear statements of expectation: "To act with Responsibility is to come to class ready to learn," "To act with Kindness is to notice when someone is hurt," "To act with Integrity is to keep your eyes on your own paper at all times," "To act with Respect is to make room for the opinions of others," etc. The need for this type of explicit approach toward character education was powerfully and eloquently presented by Dr. Rona Novick, professor of psychology and Director of the doctoral program at YU's Azrieli Graduate School of Education, as one the ELI Talks at YU's Champsionsgate Leadership Conference this summer. I urge you to watch it and consider how important her message is for us all. I really like the new signs. Whenever I read one, I'm struck by how relevant they are to the students and their everyday experience.